Mayfair Renaissance - Building Amenities: Incredible Pool & Courtyard, 24-Hour Concierge, Fitness Room! MLS#6538760. Compass. 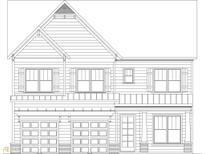 Dunwoody Chase - Host Your Guests In The Spacious Kitchen Or Enjoy The Evening On The Brand New Deck. Newer Flooring Throughout. MLS#6538749. Properly. Enclave At Grant Park - Granite Countertops And Black Appliances. Seller Is Motivated. Make Offer MLS#6535736. Tamkin Property Management, Llc..
Eastside Walk - Super Home Within A Great Community. MLS#8566670. Palmerhouse Properties & Assoc. The Barclay - No Pet Building (Except Service Animals) MLS#6538520. Berkshire Hathaway Homeservices Georgia Properties. 24-Hour Concierge, On Tech Trolley Line And Fha And Va Approved! MLS#6538970. Keller Williams Rlty-Ptree Rd. Concorde Condominiums - The Price Of This Unique Home Is Not Comparable. Come See Your New Home! MLS#6538777. Citihomes Realty Cor. The Canned Lights And Large Windows Allow For Tons Of Light Into The Unit! MLS#6538431. Perimeter Property Services, Llc. 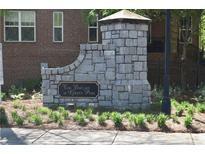 Close To The Beltline, Mercedes Benz And Downtown! MLS#8566623. Keller Williams Realty. Liberty Park - Close To Shops, Restaurants, Westside Park Bellwood Quarry, Westside Provisions & More! MLS#6537444. Palmerhouse Properties. Berkley Park - Rarely Available Townhome At Berkeley Park Place.Intimate Enclave Just Off Bellemeade & Northside.Perfect Access To Buckhead & Midtown.Spacious Fireside Living Room With Bay Window Seating.Bright, White Kitchen W/Refinished Cabinets.New Hardwoods, Fresh Paint Throughout, Brand New Carpet.Powder Room, Pantry, And Under The Stairs Storage.Two Spacious Bedrooms Up Both W/Ensuite Baths.All Bathroom Cabinets Have Been Refinished.Private Side Courtyard Perfect For Morning Coffee.2 Assigned Parking Spaces Right In Front Of The Unit. MLS#6538591. Beacham And Company Realtors. Private Walled Brick Patio Faces A Fully Treed Green-Space With Walking Trail. MLS#6539044. Jds Real Estate Services, Inc..
Masons Creek - This One Is A True Gem And Is Going Fast - Dont Miss It! MLS#6538338. Atlanta Communities. Cosmopolitan At Lindbergh - This Home Puts You In The Heart Of Where You Want To Be Intown! MLS#6537344. Boardwalk Realty Associates, Inc..
Habersham Oaks - How Would You Use The Bonus Room? MLS#6538394. Keller Williams Buckhead. Hoa Includes Gas, Water, Sewer, Pool & Exterior Maintenance. MLS#6538564. Atlanta Communities. 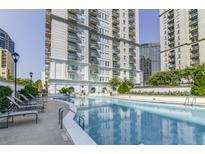 Renaissance Park - Close To I-75/85/20, Piedmont Park, Ponce City, & Beltline. MLS#6538747. Coldwell Banker Residential Brokerage. Peachtree - When You Are Not Taking In The Scene From Your Luxury Balcony, Swim In The Pool, Workout In The Fully Equipped Gym, Or Walk Or Scooter To Ga Tech Stadium, Atlanta Beltine, Ponce City Market Or Midtown Bars And Restaurants. MLS#6539023. Atlanta Intown Real Estate Services. 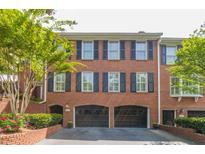 Easy Access To I-285, Perimeter Shopping District & Marta MLS#6538519. Era Atlantic Realty. 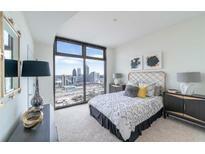 1279 West Condominiums - Don'T Let This Great Opportunity In Midtown Slip Away! MLS#6538954. Harry Norman Realtors. Frederica Hall - 2nd Floor Unit On "Quiet" Side Of Building. Seller Is Original Owner Occupant. MLS#6538893. Keller Williams Realty Atl Perimeter. Don'T Miss Out On This Amazing Opportunity For A Unit In This Like New Building. MLS#6539093. The Guardian Property Management. Collier - Large Pool, Volleyball Ct, Grills, Dog Walk, Car Wash Area, Clubhouse W/ Business Ctr & Fitness Ctr! Lots Of Parking! Fha Approved! MLS#6538513. Dorsey Alston Realtors. Four Oaks - Would Like To Stay, Tenant Is Month To Month Now. MLS#8566762. The Realty Company Llc.